Here at Baywater Farms, Bibb lettuce is one of our top-selling products. Now professional chefs and aspiring chefs alike can use this lettuce to make something fresh, inventive, and delicious. Here at Baywater Farms, Bibb lettuce is one of our top-selling products. 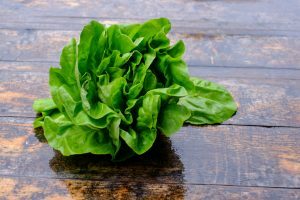 Now professional chefs and aspiring chefs alike can use this lettuce to make something fresh, inventive, and delicious. Restaurant-quality salads are hard to mimic, even for the most enthusiastic fans of meal-worthy salads. Here is what you should do next. These are just some ideas for inspiration, but the dressing won’t amount to much without a good base to accentuate. Next, add some fresh Bibb lettuce from our family farm. You might find our Bibb lettuce in your local grocery store, for instance. If you don’t want the taste of your salad greens to overpower all of the toppings, the mildness of Bibb lettuce might be the answer you’re looking for tonight. As a restaurant chef, and if you work as an executive chef, you might not need to talk to commercial vendors at all, but directly with your suppliers. Herbs are the secret ingredient most people wouldn’t expect to find in a salad. But herbs can pump the flavor up a notch and delight your audience and consumers. Cilantro, parsley, mint, and basil are all options you could choose. Most of the time, the mental image of a salad is the lettuce used in it. Whether you use Bibb lettuce or not, you don’t have to build your salads that way. Consider incorporating hydroponic vegetables also purchased or sourced from Baywater Farms, plus fruits, nuts, grains, and even bread. The best-mixed salads fit on a fork. Bite-sized pieces make every salad easier to eat, even if it doesn’t have some mouthwatering Bibb lettuce in it. Plus when there are smaller chunks to fit on each bite, every time the fork goes up and down it becomes its own little adventure. This entry was posted on Friday, February 2nd, 2018 at 4:13 pm. Both comments and pings are currently closed.